Mariam is using Smore newsletters to spread the word online. 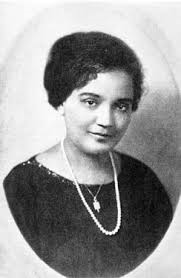 Jessie Fauset was born April 27, 1882 in Camden County, New Jersey, & died April 30, 1961 in Philadelphia, Pennsylvania. 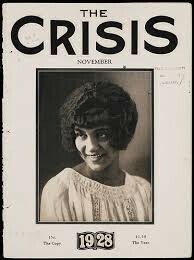 She was the seventh child born to Redmon Fauset, an African Methodist Episcopal minister, and Annie Seamon Fauset. She contributed articles, poems, stories, & books. Some of the poems that she wrote were "Oblivion" & "Dead Fires". One book that she wrote was "The Harlem Renaissance: A History & An Anthology". Jessie's writing focused on African American Culture &Economic struggles during that period. She brought the work of young Artists to public attention during the Harlem Renaissance. She was a woman that helped change the essence of African American literature during the Harlem Renaissance. “Being colored in America at any rate means: Facing the ordinary difficulties of life, getting education, work, in fine getting a living plus fighting everyday against some inhibition of natural liberties", This quote shows how difficult it was back then for African Americans to live a normal life like any other person. "Jessie Redmon Fauset." Encyclopedia of World Biography. 2004. Encyclopedia.com. (March 19, 2015).